There is a new recently built beaver pond in Gooseberry Falls State Park. The pond is within sight of HWY 61 near the entrance to the park. 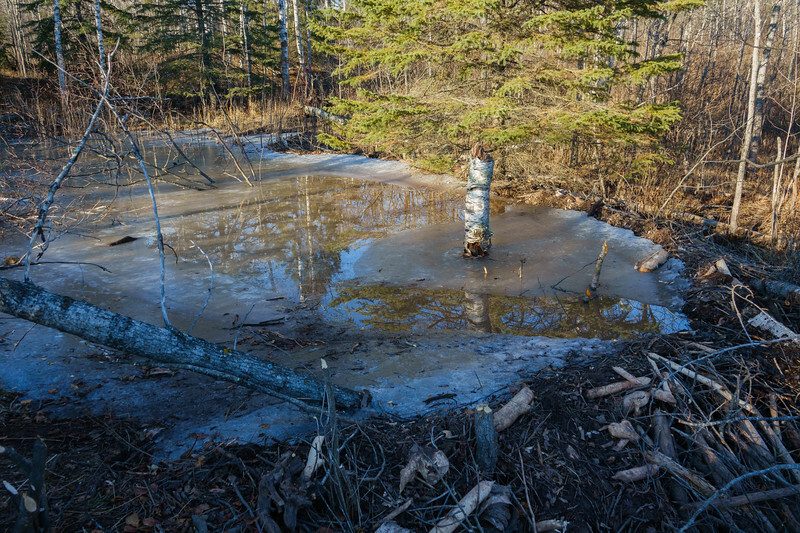 It is one of the smallest beaver ponds that I have seen. It must be a lone beaver that was moving through and decided to build along this tiny creek. 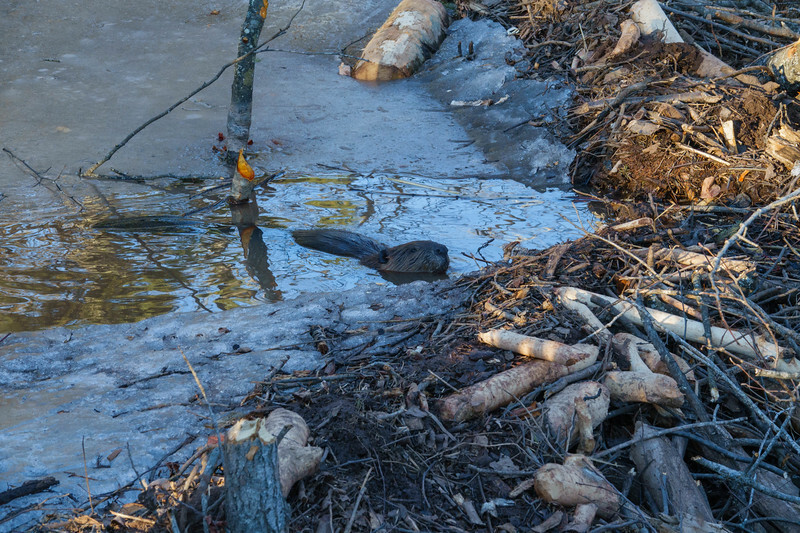 It will be interesting to see if this beaver survives the winter in such a small pond. 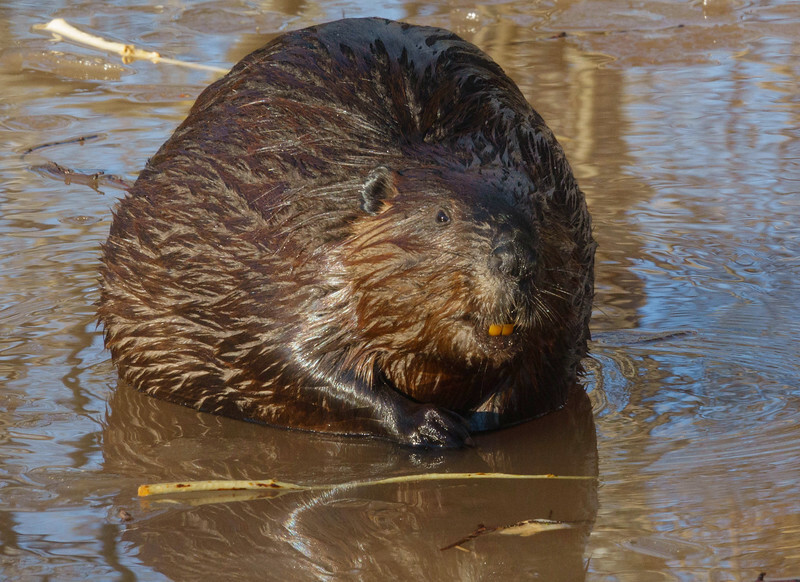 The beaver came out of the water while I was standing there and was pretty cooperative in letting me get photos. 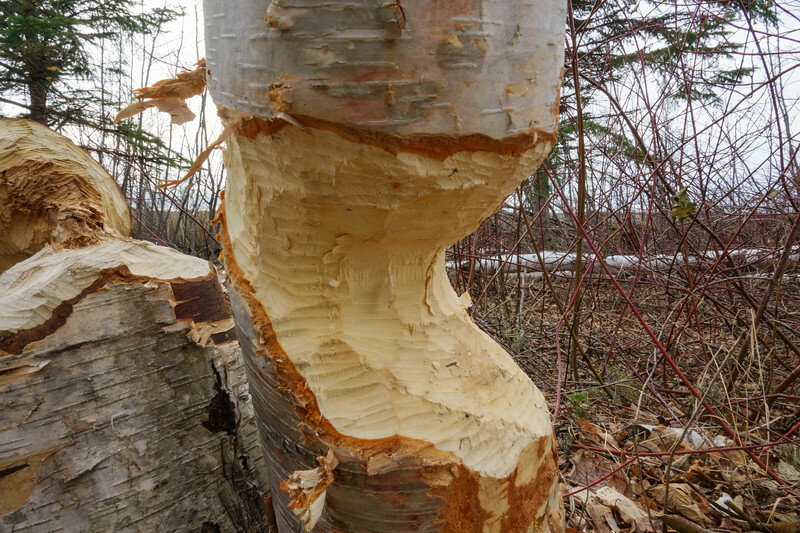 Beaver have huge teeth that are able to cut the hardest wood. Their teeth keep growing so they can cut wood for years without wearing them out. 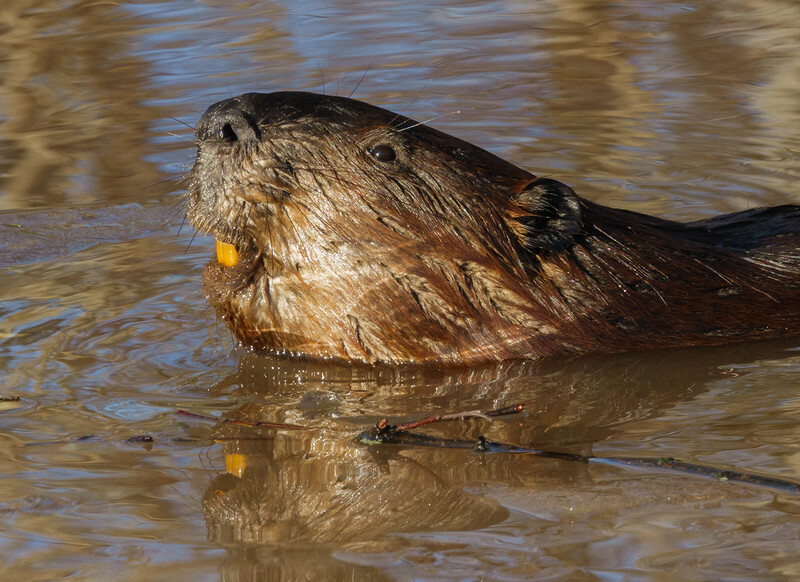 Beavers teeth do not pass the white tissue test as their teeth have a thick enamel that contains iron deposits to keep the teeth strong, given them an orange color. They can drop a huge amount of trees in a very short time. Look at the teeth marks. See how much wood they take out with each bite. 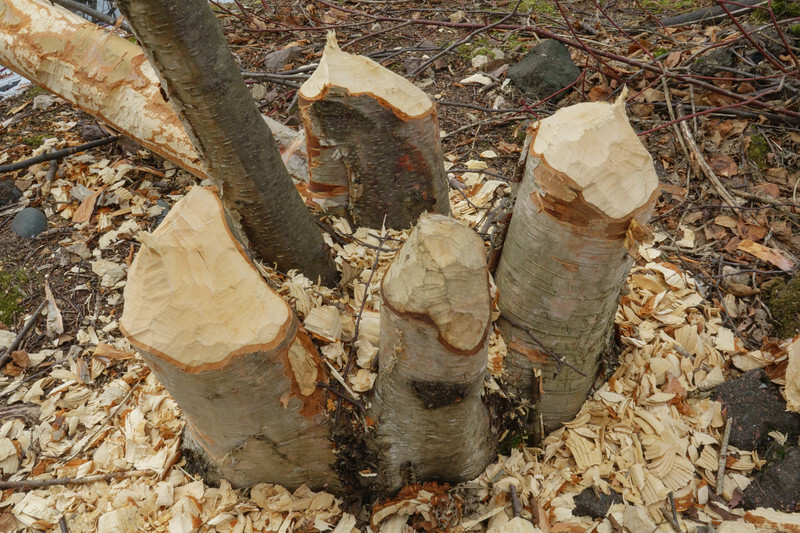 They can cut wood as hard as birch. 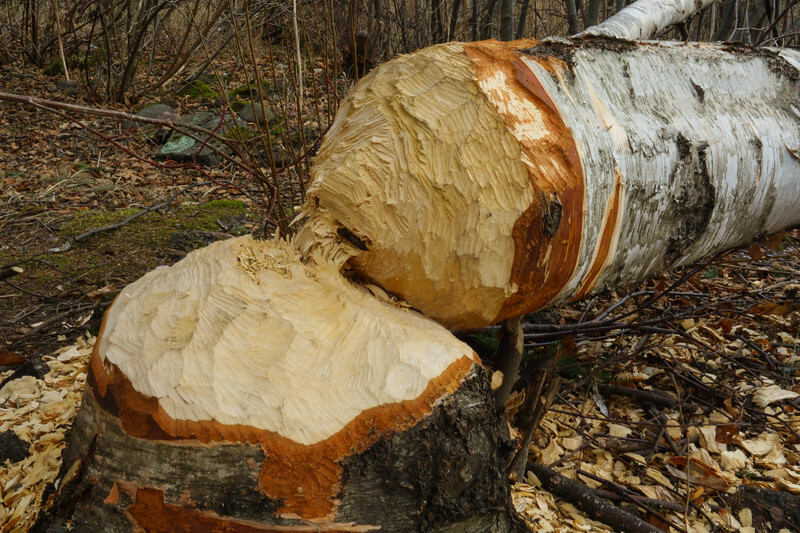 I watched one drop an 6-inch birch tree is just a few minutes.